I had forgotten just how gorgeous the drive from Cape Town to Betty’s Bay along Clarence Drive, known also as Route 44, is. 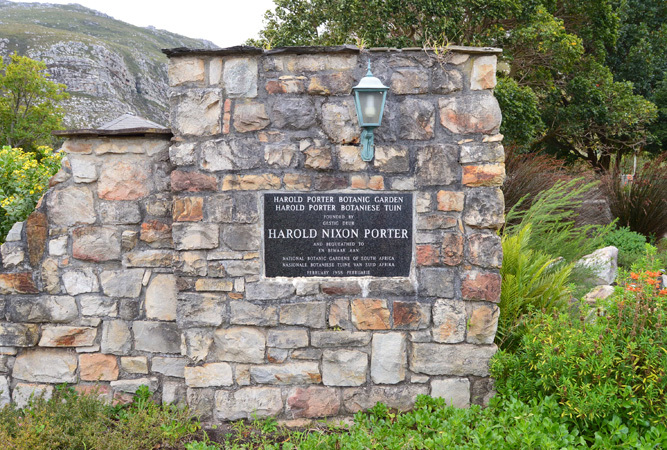 We were to visit friends in Somerset West in the evening and, since it looked as though the day would be clear, we ambitiously set off for the Harold Porter Botanical Garden, a long-delayed visit, one we had been meaning to make for too long. Fortunately for us, despite roadworks in Somerset West that could have turned our journey into a complete misery (and threatened to on our return journey, but that’s an aside for later) we joined Clarence Drive where it skirts the western end of the Hottentots Holland mountain range at Gordon’s Bay with not even a minor hiccough and virtually no mutterings about rude drivers. Whilst the wind was gusting in Cape Town, Clarence Drive was relatively unaffected and we were encased in a seamless capsule of blue seas, azure skies and breathless mountain scenery. 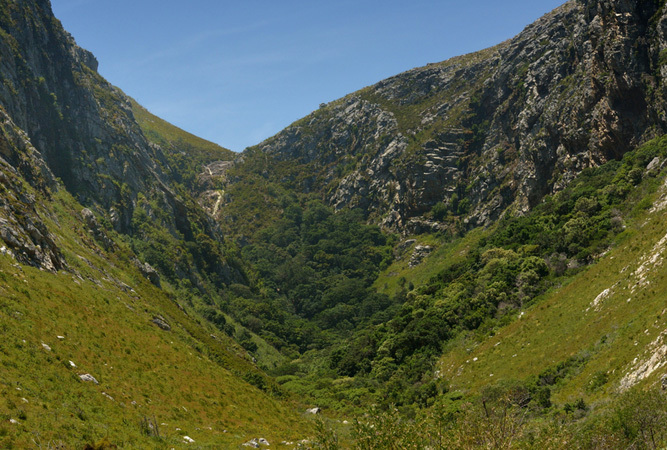 False Bay falls away down the rocky mountain side to your right, whilst fynbos clad mountains loom to your left. It’s a paradisaical vista, one that easily equals Chapman’s Peak, but without the continuous road closures that dog the link between Hout Bay and Noordhoek. As we left Gordon’s Bay behind us there were periodic viewpoints en route where several cars at a time can safely pull off the road to drink in the views. I would imagine the road serves as a really good whale watching area too, although the choppy waters below prevented sightings on this occasion. Clarence Drive is incredibly relaxing, not only because of the obvious beauty of your surrounds, but also more subtly because you can see your destination constantly, where Hangklip Point stands suspended, appearing to almost veer off in the other direction from the rest of the mountains on the eastern shores of False Bay, giving one a sense of containment. We passed through Rooi Els and Pringle Bay at Hangklip Mountain, without mishap. Betty’s Bay always catches me by surprise. It is one of the most pretty and beautiful coastal parts of the Cape, not least because it lies, as does Harold Porter National Botanical Garden, within the Kogelberg Biosphere. Kogelberg really is the heart of the floral kingdom in the Cape. 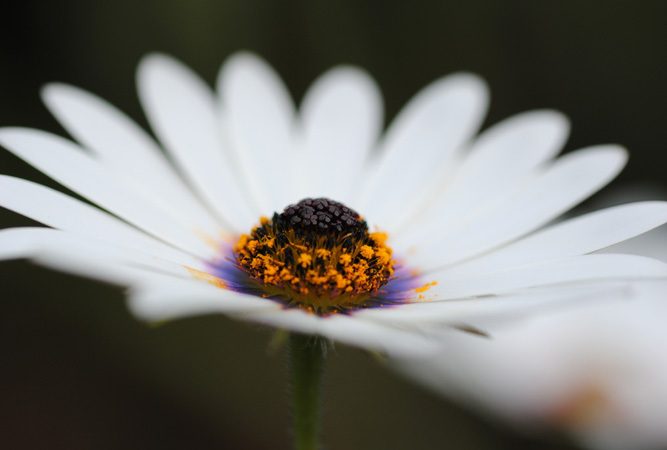 Of the world’s six floral kingdoms, it is not only the smallest, but by far the richest. Size for size the 70 000 hectare Biosphere Reserve is home to the most complex biodiversity on earth with 1 300 different plant species per 10 000 square kilometres. Second on the list behind us lies the South American rainforest, which brings to mind incredible beauty. Yet they have only 420 plant species per 10 000 square kilometres. When one reads stats like this, it puts into perspective how spoilt we are, and how vulnerable! It’s interesting to note here that Biosphere Reserves are a fairly new concept. They are fenceless, so there is no wedge between nature and people. Whilst it is evident that there are guidelines for building within the Biosphere – Betty’s Bay’s houses are all surrounded by fynbos and the buildings are not gargantuan – the focus is on living with nature so that our children’s children will still have a healthy and sustainable environment in which to live. Harold Porter is a really pleasant surprise! In fact, it’s one of the Cape’s best kept secrets! Anyone in Cape Town who tries to go on a picnic at Kirstenbosch will vouch for how ridiculously busy it can get, particularly when the summer sunset concerts start. Well, we’ve found an alternative. 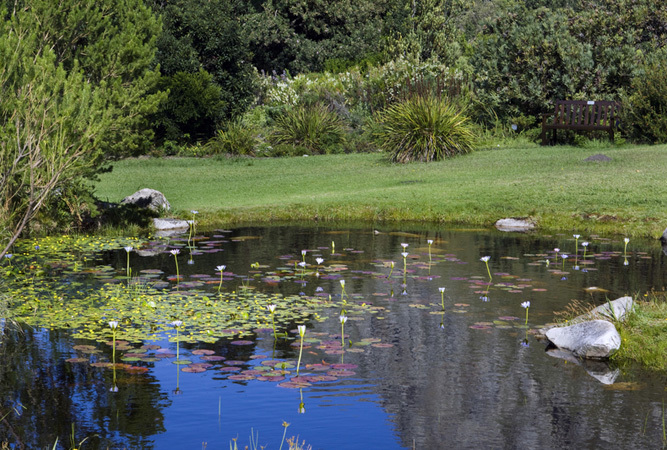 Sure, you have to drive for roughly an hour and a half to get there, but for the peace and serenity, and the incredible range of plants and the pretty gardens set right against Disa Kloof and Leopard’s Kloof, it’s worth it. The gardens lie in a floral hotspot, dominated by the sandstone peaks of the Kogelberg (hence the name of the biosphere). They all set on a slight incline and from almost everywhere in the garden, the sea is visible. Simply put, the garden is heavenly. There’s a fairly new restaurant at the entrance to the park where you can lunch, or you can picnic in the gardens themselves under a tree. The garden is just the right size for a number of people to have more than enough space to do their own thing and yet is compact enough to circumnavigate with ease, achieved within the space of an hour or two – depending on how long you take to look at plants. There were a number of avid photographers out when we were there, for whom this was nothing short of a day’s trip. Harold Porter has a number of reflection ponds in which there were frogs and tadpoles, there is a wetland ecosystem right in the heart of the garden that is really worth a visit, as is the dune ecosystem which gives one a real indication of just how valuable sand dunes are to beaches and their surrounds. Up in the northern reaches of the garden is a limestone fynbos and renosterveld ecosystem that looks as if its paths have been made using crushed mother of pearl shells. After a picnic and various forays through the garden, at a run for our son doesn’t do things sedately, we had a little time to squash in a visit to Stony Point to see the penguins. For any visitors to Cape Town who have not managed to get to Boulders Beach, this is a wonderfully relaxed (and not full of people) alternative. The entrance fee is nominal, and, like us, you might be lucky enough to hold a baby penguin found marooned in Hermanus, probably taken there by a tide. He was about to go off to SANCCOB where he will be rehabilitated and then set back in amongst his peers. Without his mother to look after him he wouldn’t survive. 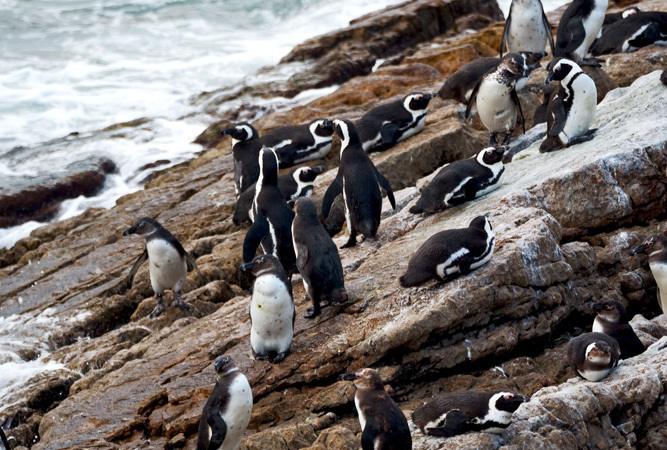 If you’re interested, you can adopt a penguin and help SANCCOB continue the work they do for these vulnerable, likely to become endangered birds. PS: there is an alternative to the N2 through Somerset West and its myriad robots – the continuation of the R44, onto which we veered in a bid to circumnavigate the overcrowded N2 at the bottom of Sir Lowry’s Pass.